Your bedroom is one of the few rooms in the home that you can truly express your style without worrying about input from the outside world, so why not make it a dramatic destination? From colorful decor to creative bedding your bed is the focal point of the room and therefore the headboard is the instant eye-catcher of your bedroom. Adding dramatic detailing to your bed is made easy with the addition of a fabulous headboard. 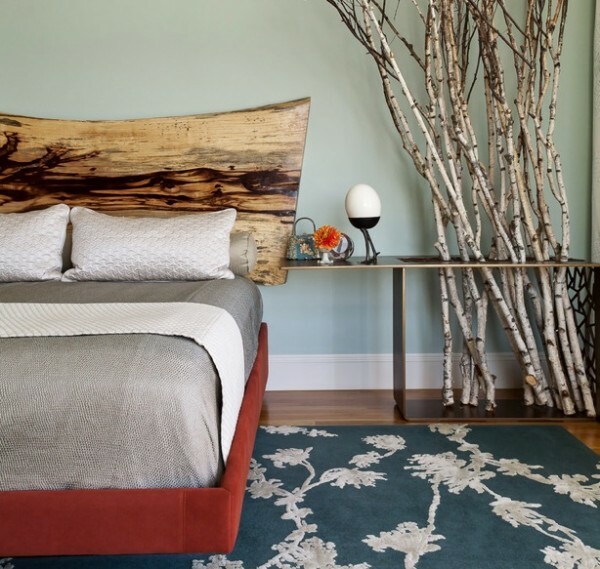 Whether you prefer a one-of-a-kind upholstered look or you like a more rustic appeal, here are a few ideas to change your bedroom from boring to dramatic with the ideal headboard. Similar to your couch in the living room, upholstery has always had the ability to transform a piece of furniture from hard and dull to sumptuous and welcoming. An upholstered headboard is an instant drama maker because it adds an element of luxury to a bland wall and depending on the color and material you can instantly change the mood in your bedroom. 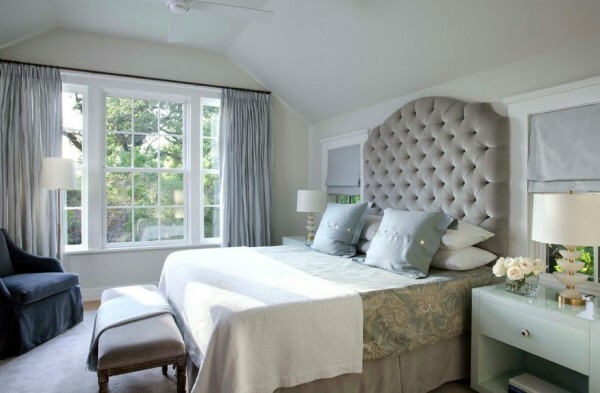 For traditional bedrooms opt for a tufted or simple lined upholstered headboard. If you prefer a contemporary look, opt for free-form varieties or create a custom headboard of your own! There are many DIY upholstery ideas out there. With a few sample materials such as material, batting, plywood, and a staple gun you can create a custom headboard in a weekend. 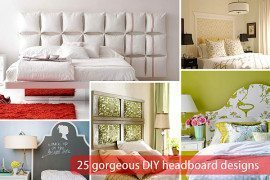 Create your own DIY headboard like this rustic one! While many prefer to keep the headboard confined to right behind the bed, you can add drama by using the entire wall beyond the bed to add drama. Assess your room and determine if this technique will work. 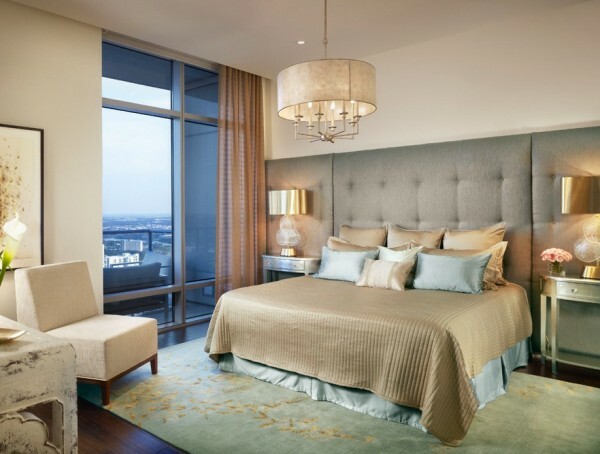 For bedrooms that need a focal point or need to consume the space visually a wood, upholstered, or paneled headboard will look beautiful elongated on the wall. 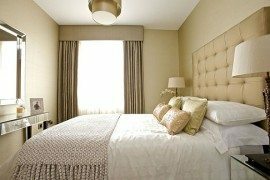 While you may think that a headboard has to stay within certain dimensions, many headboards that reach to the ceiling or stretch to the adjacent walls can add instant drama to a bedroom that needs a facelift. While your headboard itself plays an important role in creating a focal point, the accessories around your bed can add emphasis to your dramatic bedroom. Choose a killer pendant light over your bed or even recessed directional lighting that highlights your back wall and headboard. 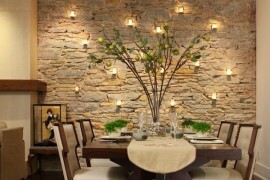 These lights add illumination and highlights your bed. Many headboard manufacturers have added functional side table and storage options that are integral in their headboards. 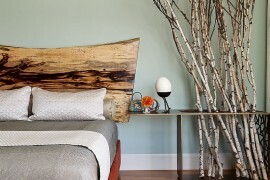 Look for these awesome headboards as you can add side table lamps, books and decorative items around your headboard too. 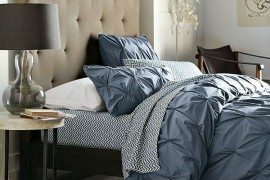 You will love the streamlined and minimalistic look this gives to your bedroom. 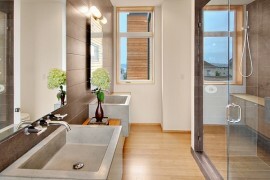 This option is perfect for small homes and apartments that are short on space but still want to add drama! Do you want to add drama to your bedroom, but couldn’t think of a way? Now you see that a dramatic headboard is an easy way to transform the feel of the room without having to do a complete makeover. Whether you use an upholstered, DIY variety or you choose to use the entire wall and highlight it with accessories, you’re one step closer to your dramatic bedroom you always wanted!